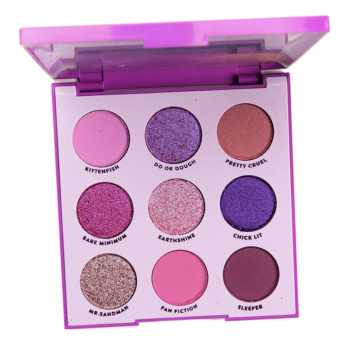 Colour Pop It’s My Pleasure 9-Pan Eyeshadow Palette ($12.00 for 0.36 oz.) is the newest palette release from ColourPop that features a mix of pinks, plums, and purples. It’s another solid set of eyeshadows from ColourPop, and it really comes down to whether it’s a color scheme that appeals to you and is a good fit for your stash. I loved the sparkles used through shades like Do or Dough and Bare Minimum; they really added oomph to the shades, particularly in practice. As a note, three shades are “not intended for use in the immediate eye area,” and they are: Kittenfish, Chic Lit, and Sleeper. Also worth noting, the following are previously released shades: Pretty Cruel, Earthshine, Mr. Sandman, and Sleeper. 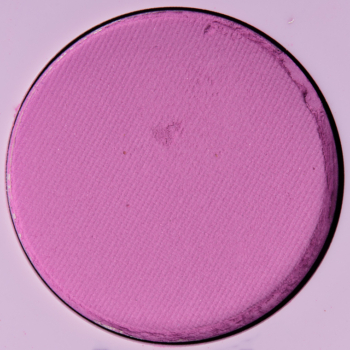 Kittenfish is a medium lavender with subtle, warm undertones and a matte finish. It had nearly opaque pigmentation that applied evenly to bare skin and blended out with ease along the edges. The consistency was soft, velvety, and not too powdery nor too firmly pressed in the pan. It stayed on well for eight and a half hours on me. Do or Dough is a muted, medium magenta pink with cool, blue undertones and flecks of blue and violet sparkle and finer shimmer. It looked slightly “cooler” in color–a little more lavender and less pink–in person, as there were so many reflective sparkles in it (see second swatch in the slideshow above!). The pigmentation was nearly opaque in a single layer and easily built up to full coverage with less than half of a layer on top. The texture was soft, smooth, and blendable with a slightly looser press but not so loose that it became prone to fallout. It lasted nicely for eight and a half hours on me. Viseart Grande Pro (Vol. 2) #25 (LE, ) is less shimmery (90% similar). Viseart Boheme Dream #7 (LE, ) is less shimmery (90% similar). BH Cosmetics Club Tropicana #23 (LE, ) is less shimmery (90% similar). Colour Pop Solstice with the Mostest (P, $5.00) is less shimmery, brighter (90% similar). Huda Beauty Amethyst #9 (LE, ) is less shimmery, darker, brighter (90% similar). Colour Pop Milky Way (LE, $5.00) is less shimmery, darker (85% similar). Urban Decay Coax (LE, $19.00) is less shimmery, lighter, cooler (85% similar). Colour Pop No Rest for the Vivid (LE, $8.00) is lighter (85% similar). MAC Stars ‘n’ Rockets (P, $17.00) is less shimmery, lighter, cooler (85% similar). 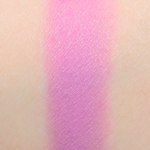 Make Up For Ever ME912 Orchid (DC, $21.00) is less shimmery, darker, cooler (85% similar). Calcium Sodium Borosilicate, Dimethicone, Synthetic Fluorphlogopite, Silica, Calcium Aluminum Borosilicate, Magnesium Myristate, Lauroyl Lysine, Tin Oxide, Boron Nitride, Dimethiconol, Phenoxyethanol, Caprylyl Glycol, Ethylhexylglycerin, Hexylene Glycol, Carmine (CI 75470), Iron Oxides (CI 77491), Manganese Violet (CI 77742), Titanium Dioxide (CI 77891). Pretty Cruel is a medium, reddish plum with strong,w arm undertones and a faint golden sparkle strewn throughout the matte finish. It had opaque color coverage paired with a soft, lightly powdery consistency that was quite blendable on my skin and had just a smidgen of fallout. It wore well for eight hours on me before starting to fade a bit. Urban Decay Devilish (PiP, $19.00) is less shimmery, darker (90% similar). 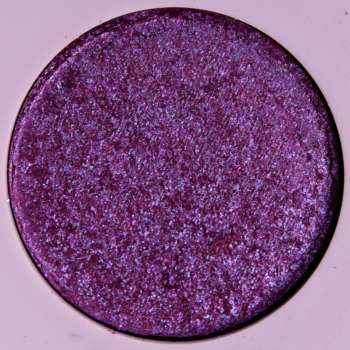 Make Up For Ever M822 Plum (DC, $21.00) is darker, more muted, warmer (90% similar). 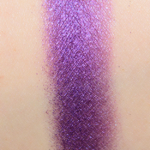 Melt Cosmetics Enigma (PiP, ) is darker, warmer (90% similar). Ciate Bijou (PiP, ) is less shimmery, darker (90% similar). 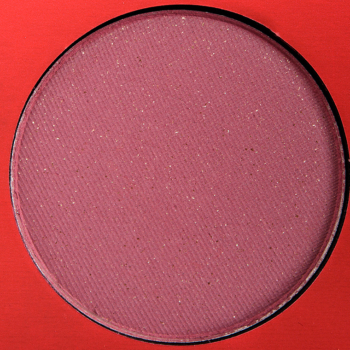 Inglot J319 Crimson (LE, $10.00) is lighter (90% similar). NARS Endless Party (LE, $25.00) is less shimmery, darker, warmer (90% similar). NARS Grand Palais #2 (DC, $25.00) is darker, warmer (90% similar). 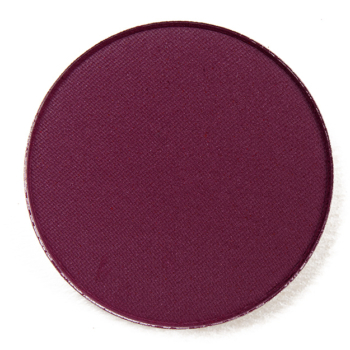 Anastasia Passion (LE, $12.00) is darker (90% similar). LORAC Goji (LE, $19.00) is darker, more muted (90% similar). Zoeva Lonely City (PiP, ) is darker (85% similar). Synthetic Fluorphlogopite, Talc, Boron Nitride, Lauroyl Lysine, Magnesium Stearate, Zinc Stearate, Caprylic/Capric Triglyceride, Dimethicone, Silica, Phenoxyethanol, Caprylyl Glycol, Dimethiconol, Ethylhexylglycerin, Hexylene Glycol, Tin Oxide, Blue 1 Lake (CI 42090), Iron Oxides (CI 77491, CI 77499), Manganese Violet (CI 77742), Mica (CI 77019), Red 40 Lake (CI 16035), Titanium Dioxide (CI 77891). 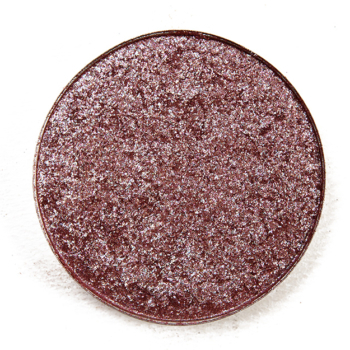 Bare Minimum is a bright, medium berry with subtle, cool undertones and flecks of sparkle and finer shimmer. It had a soft, more loosely-pressed consistency and was incredibly pigmented, where a little went a long way, so I’d highly recommend using a light touch when working with this shade. The color applied well to bare skin and blended out with ease. It stayed on well for eight and a half hours on me. Stila Charmed (LE, $24.00) is less shimmery, warmer (95% similar). Sydney Grace Sweetheart (P, $5.00) is less shimmery, darker (90% similar). Sleek MakeUP Marry in Monte Carlo (LE, $9.99) is less shimmery, warmer (90% similar). Kat Von D Rosary (LE, ) is less shimmery, darker, warmer (85% similar). Stila Next to Notte (LE, $24.00) is darker, warmer (80% similar). Synthetic Fluorphlogopite, Dimethicone, Calcium Sodium Borosilicate, Magnesium Myristate, Silica, Lauroyl Lysine, Boron Nitride, Tin Oxide, Dimethiconol, Phenoxyethanol, Caprylyl Glycol, Ethylhexylglycerin, Hexylene Glycol, Carmine (CI 75470), Iron Oxides (CI 77491), Manganese Violet (CI 77742), Mica (CI 77019), Titanium Dioxide (CI 77891). Earthshine is a sparkling, pinky-lavender with warm, orange undertones and blue-to-lavender shifting shimmer paired with a more metallic finish. It had good color payoff–just shy of full coverage–that adhered well to bare skin and blended out with little effort along the edges. The texture was soft, lightly emollient to the touch, and picked up well with dry brushes while still delivering that intense, high-shine finish. It lasted well for eight hours on me before it started to fade a bit. 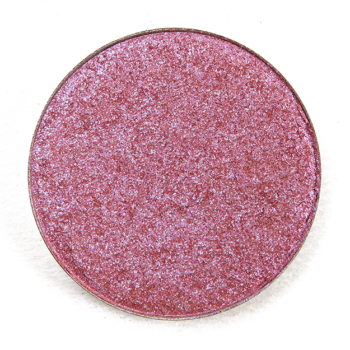 NABLA Cosmetics Garden Gate (PiP, ) is more shimmery, lighter, cooler (90% similar). Huda Beauty Twilight (PiP, ) is more shimmery, darker, warmer (90% similar). Becca Abalone (LE, ) is lighter, cooler (85% similar). Too Faced Mystic Rain (LE, $16.00) is more shimmery, cooler (85% similar). Colour Pop Voila (LE, $5.00) is more shimmery, lighter (85% similar). Huda Beauty Gemstone #1 (PiP, ) is more shimmery, cooler (85% similar). Colour Pop Goodish (LE, $5.00) is more shimmery, lighter (85% similar). NARS Lunar (P, $22.00) is more shimmery, darker, cooler (85% similar). Ciate Mood (PiP, ) is more shimmery, cooler (80% similar). Colour Pop Subdue (PiP, $5.00) is more shimmery, darker, cooler (80% similar). 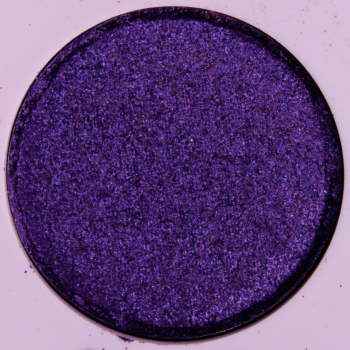 Chick Lit is a deeper purple with cool undertones and a pearly sheen. It had a denser, thicker consistency, so it needed a firmer hand to pick up to get nearly opaque coverage in one layer. Then, the eyeshadow had to be pressed and patted onto my lid to get an even application out of it. If I used a dampened brush, it was a bit easier to pick up but much more readily spread out and blended out on my lid. It wore well for eight hours on me before I noticed any fading. Sydney Grace Fierce (P, $6.00) is more shimmery, lighter (90% similar). Huda Beauty Electric #2 (PiP, ) is more shimmery, lighter, warmer (90% similar). Urban Decay Sketch (LE, $19.00) is lighter (90% similar). 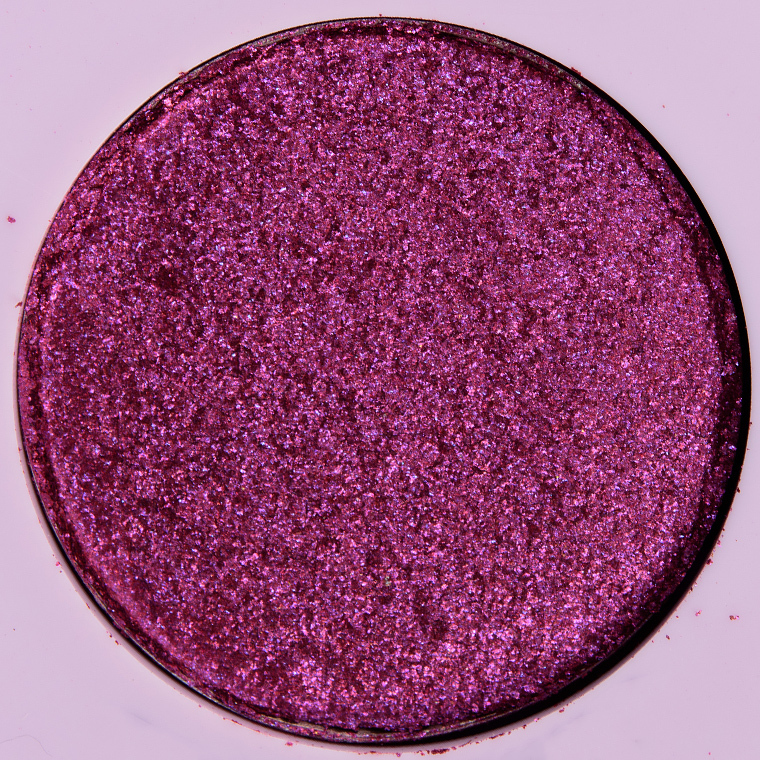 Huda Beauty Amethyst #6 (LE, ) is more shimmery, lighter, warmer (90% similar). Morphe Royalty (LE, ) is less shimmery, darker (90% similar). Urban Decay Vice (P, $19.00) is more shimmery, darker, warmer (85% similar). NARS Kauai II (PiP, $19.00) is more shimmery, darker (85% similar). Makeup Geek Hype (P, $9.99) is more shimmery, lighter, more muted (85% similar). Sydney Grace Flannel (P, $6.00) is more shimmery, darker, brighter (85% similar). NABLA Cosmetics Anemone (PiP, ) is more shimmery, darker (85% similar). Mr. Sandman has a plummy-brown base with cooler, pink-to-blue shifting sparkle and finer shimmer paired with a metallic finish. It had rich pigmentation that applied well to bare skin with a smooth, even application. The consistency was more loosely-pressed, so I had to be careful to pat and press it onto my skin to avoid fallout during application. However, it was easier to use than the single originally launched. It started to show signs of fading after eight and a half hours of wear. MAC Humoresque (LE, $18.00) is lighter, cooler (90% similar). NARS Fuse (LE, $22.00) is darker, cooler (90% similar). Urban Decay Fortune-Teller (LE, $19.00) is lighter, cooler (90% similar). MAC Boom Boom Room (LE, $18.00) is lighter, cooler (90% similar). Colour Pop Glass Bull (P, $5.00) is lighter, warmer (85% similar). Too Faced Artist Pass (LE, $16.00) is less shimmery, darker, more muted (85% similar). Urban Decay Solstice (P, $20.00) is lighter, warmer (85% similar). Tom Ford Beauty Pretty Baby #3 (PiP, ) is more shimmery, lighter (85% similar). Calcium Sodium Borosilicate, Dimethicone, Silica, Synthetic Fluorphlogopite, Lauroyl Lysine, Polyethylene, Magnesium Myristate, Boron Nitride, Dimethiconol, Phenoxyethanol, PTFE, Caprylyl Glycol, Tin Oxide, Ethylhexylglycerin, Hexylene Glycol, Iron Oxides (CI 77491), Mica (CI 77019), Titanium Dioxide (CI 77891). Fan Fiction is a medium-dark pink with subtle, cool undertones and a mostly matte finish. 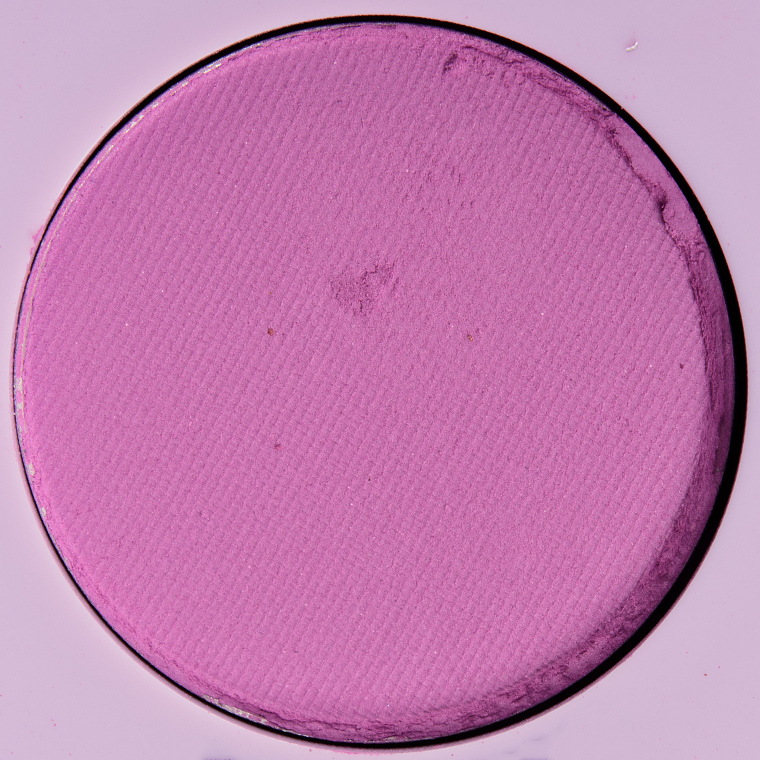 The eyeshadow had semi-opaque, buildable pigmentation with a soft, lightly dusty consistency that blended out nicely without losing its intensity or coverage (unless intended). It lasted nicely for eight hours on me before it started to fade. Huda Beauty Amethyst #7 (LE, ) is darker (95% similar). Too Faced Young and Free (LE, $16.00) is brighter (95% similar). NARS Bouthan #2 (DC, $25.00) is more shimmery, darker (90% similar). Huda Beauty Flamingo (LE, ) is darker (90% similar). 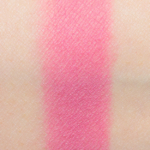 Make Up For Ever M856 Fresh Pink (P, $17.00) is lighter, warmer (90% similar). Make Up For Ever M806 Antique Pink (P, $17.00) is lighter, warmer (85% similar). Make Up For Ever S854 Candy Pink (DC, $21.00) is more shimmery, darker, cooler (80% similar). Synthetic Fluorphlogopite, Boron Nitride, Zinc Stearate, Talc, Lauroyl Lysine, Magnesium Stearate, Dimethicone, Caprylic/Capric Triglyceride, Silica, Phenoxyethanol, Caprylyl Glycol, Dimethiconol, Ethylhexylglycerin, Hexylene Glycol, Carmine (CI 75470), Manganese Violet (CI 77742), Mica (CI 77019), Titanium Dioxide (CI 77891), Ultramarines (CI 77007). Sleeper is a deep berry with cool undertones and a matte finish. It had rich color payoff that applied evenly to bare skin, but it did seem to take a bit of extra effort to really blow out the edges for a seamless blend. The texture was drier in the pan but did not read dry on my skin, and there was only a touch of fallout during application. It wore well for eight and a half hours before it started to show signs of fading. The version in the palette was slightly deeper–but more pigmented in one layer–and ran a touch cooler in overall tone than the single. 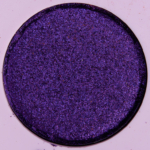 Coloured Raine Ladyship (P, $6.99) is lighter (95% similar). 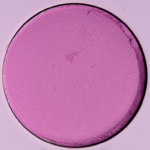 Too Faced Figgy Pudding (LE, $16.00) is lighter (90% similar). Colour Pop Going Steady (PiP, $5.00) is more shimmery, cooler (95% similar). 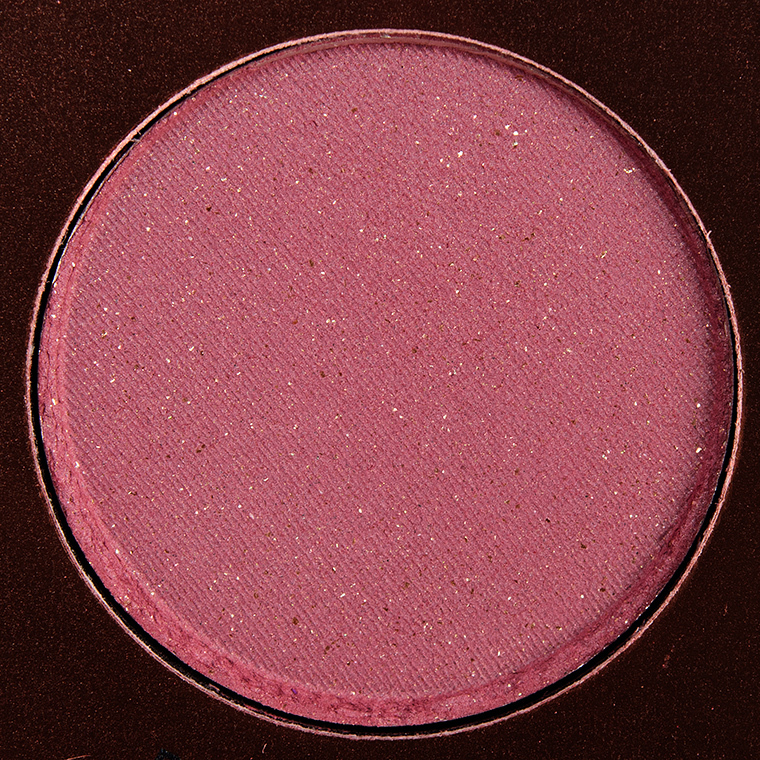 Make Up For Ever M842 Wine (P, $17.00) is lighter, warmer (90% similar). Charlotte Tilbury Confident Eyes (Smoke) (LE, ) is lighter (90% similar). Bad Habit Persephone (PiP, ) is more shimmery, lighter, warmer (90% similar). Huda Beauty Love Bite (PiP, ) is more shimmery, lighter, cooler (90% similar). Natasha Denona Electra (115CM) (PiP, ) is warmer (85% similar). Anastasia Love Letter (P, $12.00) is lighter, brighter, warmer (85% similar). Boron Nitride, Aluminum Starch Octenylsuccinate, Zinc Stearate, Dimethicone, Phenoxyethanol, Lauroyl Lysine, Caprylyl Glycol, Dimethiconol, Ethylhexylglycerin, Hexylene Glycol, Blue 1 Lake (CI 42090), Carmine (CI 75470), Iron Oxides (CI 77499), Mica (CI 77019), Red 7 Lake (CI 15850). *Not intended for use in the immediate eye area.